After a three day PowerClub Training in January 2012 with over 245 pastors and children’s ministers becoming officially certified, the ministry of PowerClubs was officially launched another new nation. It was a experience ordained by God. 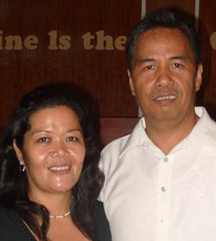 It was immediately apparent that the right leaders to put in place as directors of KIMI Philippines were Bishop Rey and Alma Angana. 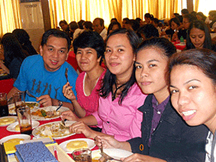 They have pastored in Cagayan de Oro, Philippines for 16 years. 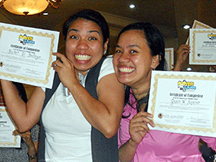 But their testimony after the Philippine PowerClub training was, “Now I am a new person in perception, walking in new ways of approach for kid’s ministry. Since we received the revelation concerning the plan of God for the children, it is always pumping inside of me to do more PowerClubs in our city. I have received an unusual passion to train others and share the vision, which I got from KIMI. Please pray for us always as we are in total shifting and have a total change of focus, which is the ministry for the children, and for a better tomorrow in this country. The teaching you gave us is more precious than any treasure I’ve ever heard of. It’s valuable, it’s great and it’s spiritual in the sense that money cannot buy it. I have said a lot here, but I cannot hold on the bubbling of my heart which is full of joy and thanksgiving for the success of the conference that has changed the lives of many ministers.” The Angana’s are influential in an apostolic ministry with hundreds of other pastors in their fellowship. They are now our official PowerClub coordinators in the Philippines, and are now happily leading their own group called ANOINTED CHILDREN IN FAITH POWERCLUB. The Angana’s will be conducting more PowerClub trainings in the near future for anyone in the Philippines that is interested. 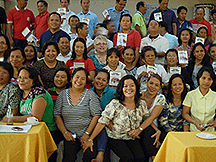 From January to June 2012, there are now over 305 official PowerClubs on the island of Mindanao outside of local churches, meaning they are meeting in villages and neighborhoods. There are 206 churches who have converted their children’s ministries fully to the PowerClub format. At last count there were 3,510 children being ministered to on a weekly basis through the PowerClub format and using the KIMI curriculums. PowerClubs leader Evelyn Nanong “The children are always excited during our PowerClubs classes every Saturday, the children are so excited to memorize and locate our Power verse. The parents are relaxed and confident the time they know that their kids are attending for the PowerClubs session. Belen Bote PowerClubs leader “In my observation the parents of my kids were very happy that their children attended the PowerClubs classes, because their children had a big change in the attitude and behavior. The children know how to Praise and Worship God heartily. 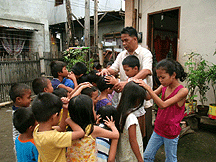 The children knows how to Pray and heal the sick, cast out the demons. Please contact Pastor Rey or Pastor Alma at alma692@yahoo.com. 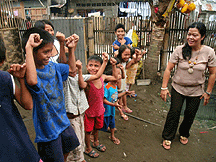 Join or visit PowerClubs Philippines on Facebook To Donate to the work in the Philippines, please click here. For More information on the PowerClub Training, go here.